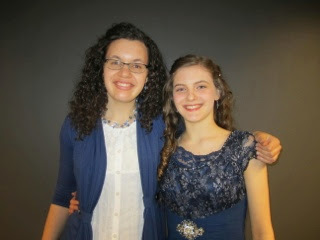 Amazing singer, ballerina, friend, encourager, and sister in Christ. I love you SO music and I wish you all the best in your coming year as you seek to make Christ preeminent in your life. You are SO special to me, and I thank God for the many years of sweet friendship we have had, and look forward to forever and into eternity ahead of us. And to all my followers, please take a moment to wish Eden a very happy birthday by commenting on her blog Eden's Evaluations. Hey Elanee!!! Thank you so much! That was really sweet and thoughtful of you! I am so thankful to have such a wonderful, dear friend! Love you lots!!!! Continue to grow in the Lord! Lies Young Women Believe | Hope For the Anxious!